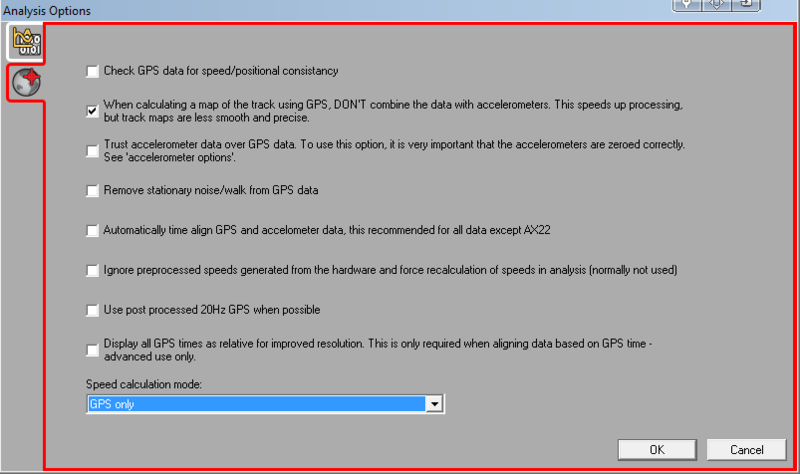 The GPS data is not realigned with the other data, eg analogue inputs. 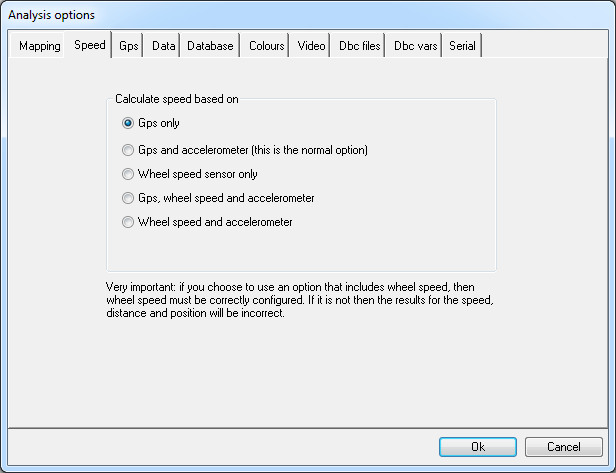 These are the recommended settings, found in the Data / Analysis Options menu. 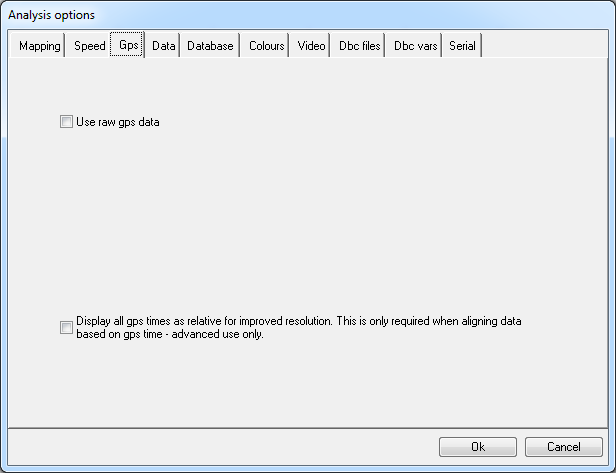 When set the variable file can be saved from the File / Advanced Load/Saves menu for future use.